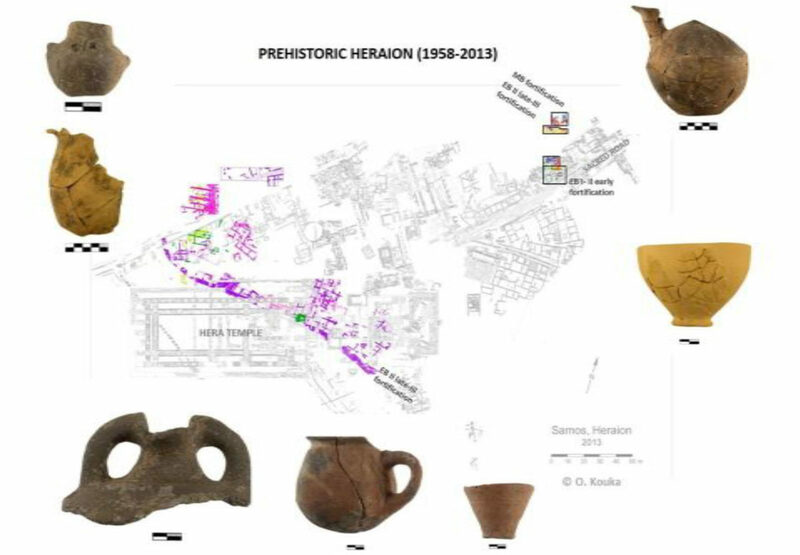 Pottery and small finds will be presented in their context and discussed in the wider cultural framework of the Aegean. Aegeus and the Swedish Institute at Athens have organised the lecture: “Maritime dialogues: Scales and modes of interaction between prehistoric Heraion of Samos and the rest of the Aegean”, by Ourania Kouka (Department of History and Archaeology, University of Cyprus). the maritime dialogues in the Aegean from the Stone Age to the end of the Bronze Age. Recent excavations at Heraion on Samos (2009-2013) have revealed for the first time the foundation of a settlement in this area during the Chalcolithic period (4500-3000 BC), a fortified settlement of the Early Bronze Age I/early-II (3000-2500 BC), the eastern limit of the expanded early urban settlement of the Early Bronze Age II/late-III (2500-2000 BC), as well as impressive fortifications and houses of the Middle Bronze Age (2000-1750 BC), during which Heraion seems to keep the early urban character and is the biggest insular settlement in the East Aegean. Pottery and small finds from the above phases will be presented in their context and discussed in the wider cultural framework of the Aegean in order to trace the aspects and scale of the emerging cultural interaction between Heraion and Samos in general with the neighbouring Asia Minor, the East Aegean islands, the Cyclades and Crete from the Chalcolithic through the Middle Bronze Age.